galloping in such ancient forests untold. Giant towering trees pierce the sky with their evergreen needles. It rears it's immense head, giving out an earthshaking grunt. What a breathtaking sight as it leaps over the ditches, bushes, and trees. 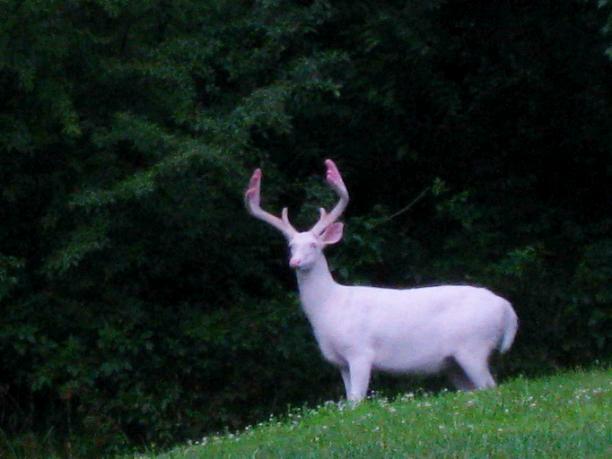 the white deer leaping into the brush from afar.